Science without borders: Improving impact by interlinking gender, geographic, disciplinary and educational dimensions. Objectives: Representatives from 11 Latin American STI agencies, Mexican civil society and international organizations met in an open space of discussion and knowledge-sharing on issues related to the gender dimension in the performance of national systems of science, technology and innovation in the region. The meeting allowed participants to exchange experiences, to share their vision on the main challenges in the area and to discuss possible initiatives of regional cooperation. Challenges and opportunities for the inclusion of the gender dimension in the design of programs and public policies in Science Technology and Innovation (STI). Experiences, lessons learned and success stories. Identification of topics for a "Gender Summit - Latin America". Expectations and opportunities for regional cooperation in Gender and STI. Objective: The workshop targets women at early career stage who participate in the CONACYT training program for indigenous women. 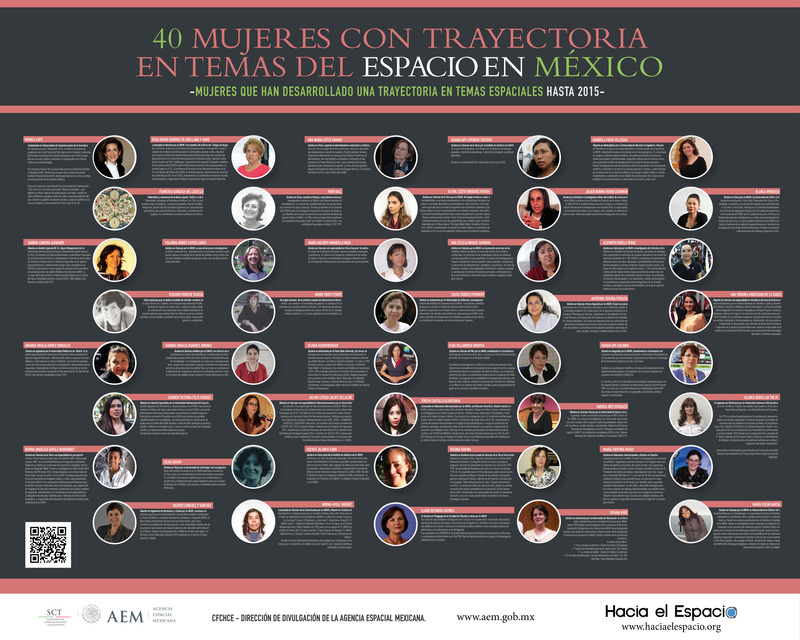 The aim is to adapt and transfer the experience of applying the scenario approach from the European context to Mexico and to Latin America, to reflect the realities of the science landscapes and women’s lives in the region. It will also help create a ‘training-the-trainer’ toolkit. Participants: 30 indigenous young women who are studying postgraduate degree in the University of Guerrero, holding a CONACYT scholarship. 4A: Starting a career in Exact Sciences: How to promote the participation of women? This Gender Summit 8 highlighted how science can be a tool to break all kinds of borders: gender, geographic, disciplinary and educational borders. The kind of science able to break these boundaries comes from an environment of diversity and inclusion, key elements to innovation. The GS8 introduced the Latin American perspective to the second North American Gender Summit and will move towards an exercise of a multi-sector dialogue and a multidisciplinary reflection that enriches the development of policy instruments for gender equality in the field of science and technology. Addressing gender issues in science and technology from a multidisciplinary approach. Innovating from a gender perspective. Achieving sustainable development through science and gender equality. Adding the Latin American voice to the Gender Summit movement. All presentations will be held either in English or Spanish. Simultaneous translation services will be available. Structures to place posters are 1 meter wide and 2.5 meters high. Posters will be placed on the afternoon on 27th April (St. Regis Hotel / 2nd floor). Staff will be at the hotel in order to help all the participants to place their posters. Reforma avenue is one of the most beautiful and emblematic avenues of Mexico City. It is filled with tourist attractions, restaurants and hotels. Reforma is home to many historic monuments such as the Angel of Independence, the Diana the Huntress fountain (just in front of the St. Regis Hotel) and the Chapultepec Park and Castle, among many others. Reforma is also a cultural avenue, friendly to walk, in which you can find different art expositions (photography, sculpture, etc). Take Viaducto West to Nuevo Leon Avenue. Proceed straight ahead until Sonora Street. Take left in Sonora Street and turn right over Reforma Avenue. Drive Time: from 20 to 40 minutes, depending on traffic. Take the yellow line at the airport station (Terminal Aerea) to Pantitlan Station. From Pantitlan Station take the pink line to Observatorio Station. Get off on Sevilla station. Look for Sevilla´s street and walk towards Reforma Avenue. The St. Regis Hotel will be in front “Diana the Huntress” fountain. Mexico City International Airport, also called Benito Juarez International Airport is a commercial airport that serves Mexico City, the capital of Mexico. The Airport is divided into two sections: Terminal 1 and Terminal 2. Most international travelers are handled by Terminal 1. Mexico City has a mild temperate climate. The warm season lasts from March 23 to June 11 with an average daily high temperature above 78°F. Visa requirements vary depending on country of origin. Please consult your local travel guidance. Download a list of countries that do not require a Visa for Mexico for stays less than 180 days. Holders of a valid United States multiple-entry visa do not require a Mexican visa to travel to Mexico for a period of entry not exceeding 180 days and for non-gainful activities. The Electronic System for Travel Authorization (ESTA) is NOT considered a valid US visa for the purpose of travelling to Mexico under the exemption of the Mexican visa. Session rapporteur/teller– provide a written summary of a session or discussion (excellent written Spanish/English required). Social media rapporteur – report on the Gender Summit via Twitter, Facebook and other social channels; post images and connect with virtual attendees online. In exchange for your support, GS8 will cover your travel contributions (national or international roundtrip flight from the facilitator’s city of origin to Mexico City). Accommodation must be covered by the facilitator. The number of grants and contributions available is limited and depends on the ability of our partners to extend such support. Email coop.int.ciencia@conacyt.mx expressing your interest in applying.